Natalie Powell overcame an opening match loss to secure her 16th Grand Prix medal after she claimed bronze on the final day of competition at the Antalya Grand Prix in Turkey. Following medals for both Chelsie Giles (-52kg) and Sally Conway (-70kg) on the opening two days of the competition, it ensures that GB Judo come away from Turkey having won a medal on every day and boosts Powell’s hopes of eventually returning to the World No.1 spot. A single waza-ari was enough to take home the medal for Powell against Russia’s Alexandrea Gimaletdinova. It was a contest that Powell dominated from start to finish and her Russian opponent offered little in the form of attacking intent throughout, which owed to Powell’s determination. Both fighters picked up a shido in the closing stages but Powell used her experience to see off the clock and claim her spot on the podium once again. 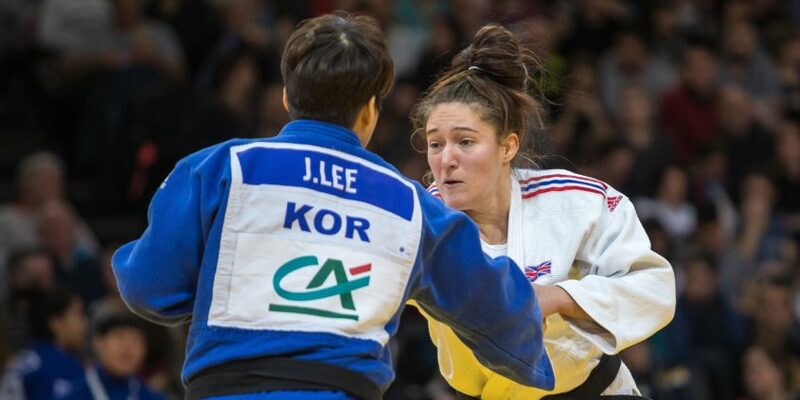 She started the day in disappointing fashion with a defeat at the hands of Kosovo’s Loriana Kuka. Both athletes were left handed and this nullified a lot of attacks that each of them attempted over the course of the contest. Golden score beckoned and it was during this stage that Powell was caught via osoto-gari by Kuka and in turn, drop her in the repechage. Powell recovered well though and saw off World No.31 Zarina Raifova from Kazakhstan in the repechage final. After a quiet opening minute, she sprung into action and following a strong exchange from the Welsh athlete, she was able to throw for ura-nage to secure the win and her passage into the Bronze medal contest. It was another great night in the pool for the Brits that saw golds for both Team England and Team Scotland. Duncan Scott of Team Scotland soared to victory to take gold in the Men’s 100m Freestyle final and is the new Commonwealth Games Champion. Scott clocked a time of 48.02 to beat the Olympic Champion Kyle Chalmers of Australia in front of a capacity crowd at the Optus Aquatics centre on the fourth night of the swimming competition. The Stirling-based athlete was joined on the Gold Coast 2018 podium by South Africa’s Chad Le Clos and Chalmers of Australia who tied for the silver. Scott is now Scotland’s most decorated Commonwealth Games swimmer ever following his medals on night four of Gold Coast 2018. 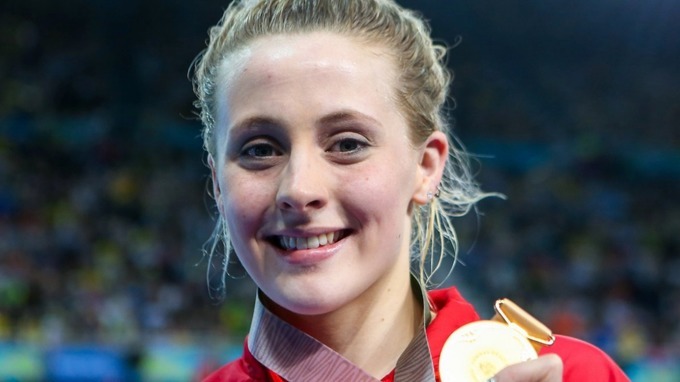 Siobhan-Marie O’Connor (England) defended her Women’s 200m Individual Medley title under the floodlights of the Optus Aquatics Centre in a time of 2:09.80. O’Connor established a lead right from the start and dominated unchallenged for the rest of the race to take the gold medal. The Commonwealth Games Champion was joined on the podium by a Canadian pair of Sarah Darcel and Erick Seltenreich-Hodgeson, they took the silver and bronze. Aimee Willmott (England), who took the gold in the 400m IM event, finished just off the medal pace in fourth, Scotland’s Hannah Miley and Abbie Wood (England) finished side by side in sixth and seventh. An exhilarating Men’s 4x200m Freestyle relay brought the curtain down on the fourth night of racing that saw the host nation, Australia at the centre of the podium. It was second place for England’s quartet of Jarvis Parkinson, Cameron Kurle, Nick Grainger and James Guy. The silver medal was stolen from Scotland on the final leg as Guy powered home. The bronze medal was claimed by Scotland, who were represented by Stephen Milne, Duncan Scott, Dan Wallace and Mark Szaranek. Alice Tai (England) collected her second medal of the Games in the Women’s S9 100m Freestyle, she took silver in a new personal best time of 1:03.07 behind Australia’s Lakeisha Patterson who took gold. Bronze went to another Australian swimmer, Ellie Cole. Scotland’s Toni Shaw raced in another final on her Commonwealth Games debut, she finished fifth. Four Brits went in the Men’s 50m Backstroke final and it was Xavier Castelli (Wales) who ranked the highest as he finished fourth. Northern Irish swimmer Conor Ferguson was next to the wall as he finished the race in fifth. Jersey’s Harry Shalamon was sixth and Craig McNally (Scotland) touched home in seventh. All three medals belonged to Australia, Mitch Larkin took the title, Benjamin Treffers claimed silver and Zac Incerti picked up the bronze. Alys Thomas (Wales) was the sole home nation swimmer in the final of the Women’s 50m Butterfly and after the single lap of the pool she touched home sixth. The medals were dominated by the host country, Cate Campbell, Holly Barratt and Madeline Groves made it an Australian one-two-three. Jessica Fullalove and Elizabeth Simmonds, both of Team England, went in the Women’s 200m Backstroke final, they finished seventh and eighth respectively. Gold went to Kylie Masse of Canada, with compatriot Taylor Ruck taking the silver and bronze belonged to the host nation on this occasion, Emily Seebohm of Australia. Adam Peaty (England) posted another Commonwealth Games record of 26.49, this time it was in the semi-finals of the Men’s 50m Breaststroke and qualified fastest for the final on day five. Teammate James Wilby, who’s already claimed a gold and silver at Gold Coast 2018, joins Peaty as the third fastest qualifier. Scotland’s Euan Inglis will also be back in action tomorrow. Craig Benson and Mark Campbell also of Scotland and Jamie Graham of Northern Ireland all miss out on another swim. Anna Hopkin (Team England) was the only home nation athlete to make it through to the Women’s 100m Freestyle final tomorrow. England’s Freya Anderson was nudged out of a lane in the final as she finished ninth after the semis, teammate Jessica Jackson was eleventh and separating them was Scotland’s Lucy Hope in tenth. James Guy (England) edged out South Africa’s Chad Le Clos in his semi-final of the Men’s 100m Butterfly to touch first and qualified second fastest for the title contest tomorrow. Welsh swimmer Calum Jarvis will also swim again, he ranked fifth, alongside Sean Campsie (Scotland) and Jacob Peters (England) who tied as the sixth fastest qualifiers. Team England’s 50m Breaststroke gold medallist, Sarah Vasey and Chloe Tutton (Wales) took bronze in the 200m event last night, finished seventh and eighth and will both feature in the medal decider tomorrow night under the Gold Coast skies. Jocelyn Ulyett and Molly Renshaw both of Team England finished back to back in the rankings, 10th and 11th. Scotland’s Corrie Scott was 12th and Laura Kinley placed 16th.